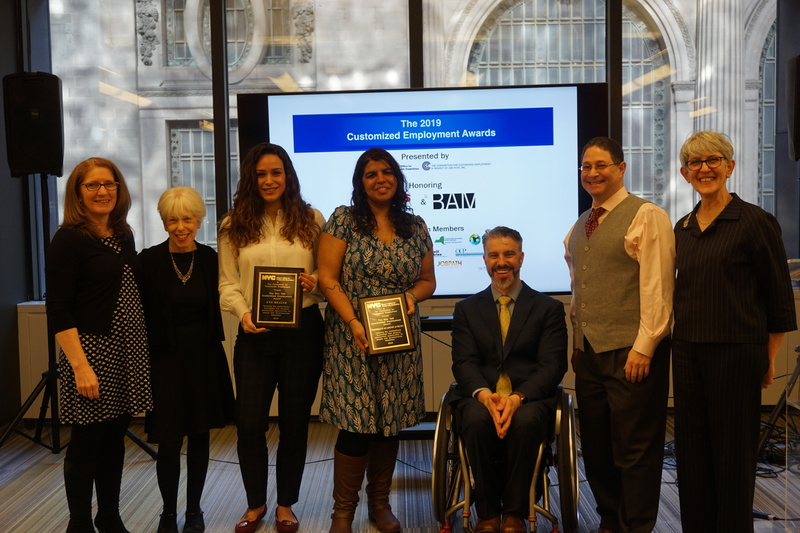 The NYC Mayor’s Office for People with Disabilities (MOPD) and the Consortium for Customized Employment (CCE), a project of Job Path, honored CVS Health and BAM for their meaningful contributions to employment opportunities for people with developmental disabilities. Left to right: Mary Grace Giuliano (OPWDD), Fredda Rosen (Job Path), Joana Lisboa (CVS), Samara Alexander (BAM), Commissioner Victor Calise (MOPD), Aaron Shmueli (Goodwill Industries), and Karen Waltuck (CCE). 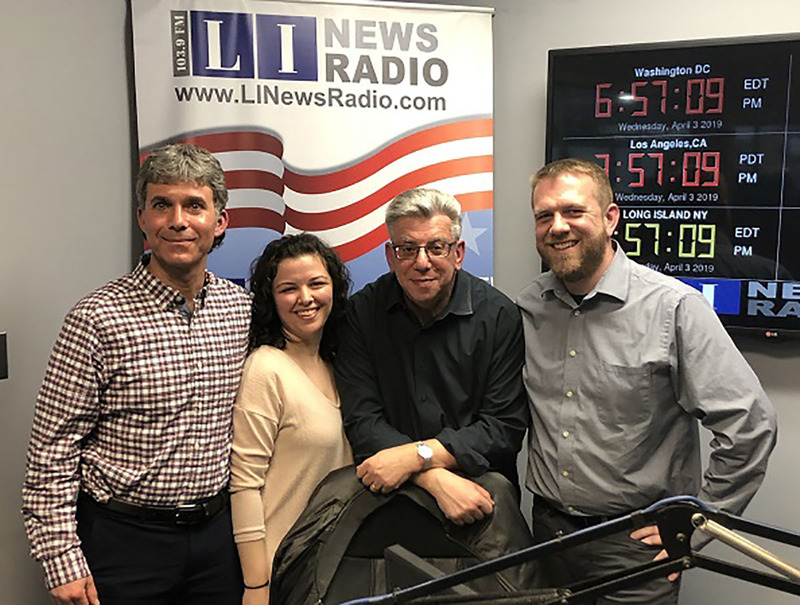 Job Path was featured on Long Island News Radio this past weekend! 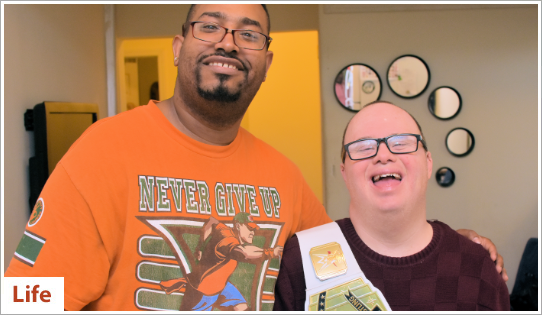 Johnadam, one of our Employment Specialists, very thoughtfully developed a connection with a longtime radio host named Scott Passeser who has a show called “Radio Jobline.” He’s all about leveling the playing field in the job market for people from marginalized communities. 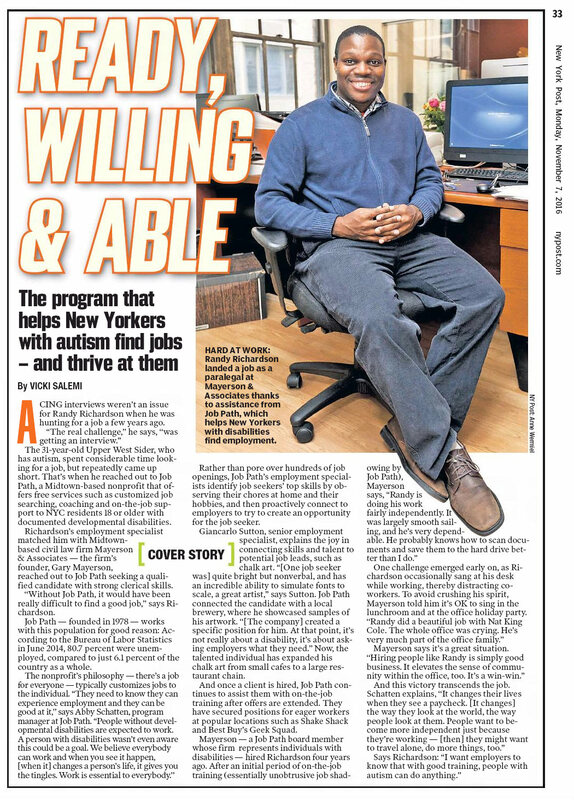 He invited us to speak about Customized Employment and the value of including people with developmental disabilities in the workforce. 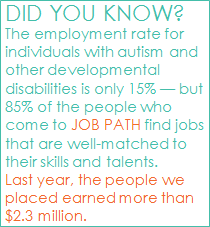 Click here to listen to the radio show featuring Job Path staff; Johnadam, Ryan, and Amanda. Big thanks to Johnadam for making this happen.